– He has 2 older sisters, one of them is also popular, Secret‘s Han Sun-hwa. – He wanted to become a soccer player. 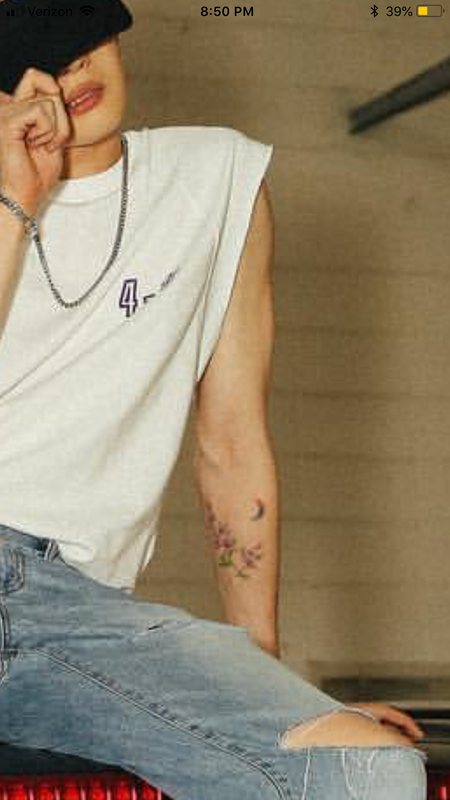 – Seungwoo has 3 tattoos: one on his neck (his birthday in Roman numerals), one one his collarbone (“don’t lock me up”), and one on his inner arm (flowers and crescent moon). – His special talent is imitating the voice of Pikachu. – He is a Buddhist. 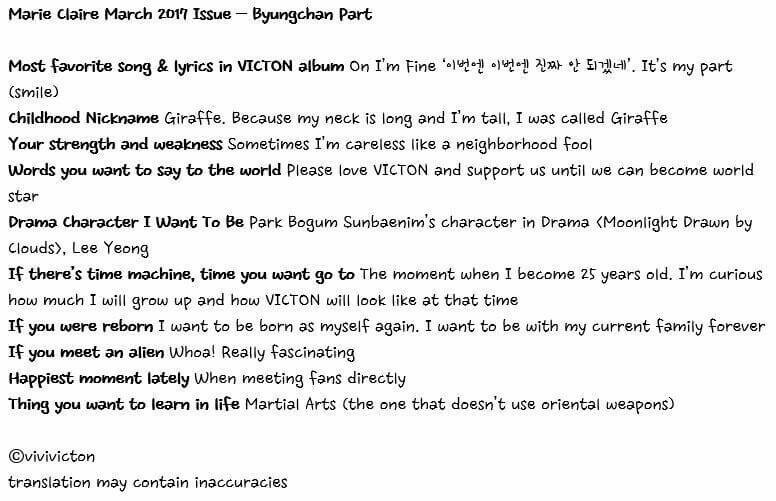 – Seungwoo is the strongest member of VICTON. – He likes to do activities alone (Eating, Exiting, Jogging and Walking). – Seungwoo can mimic the sound of goats. – Seungwoo likes martial arts. – He really hates bugs and dust. 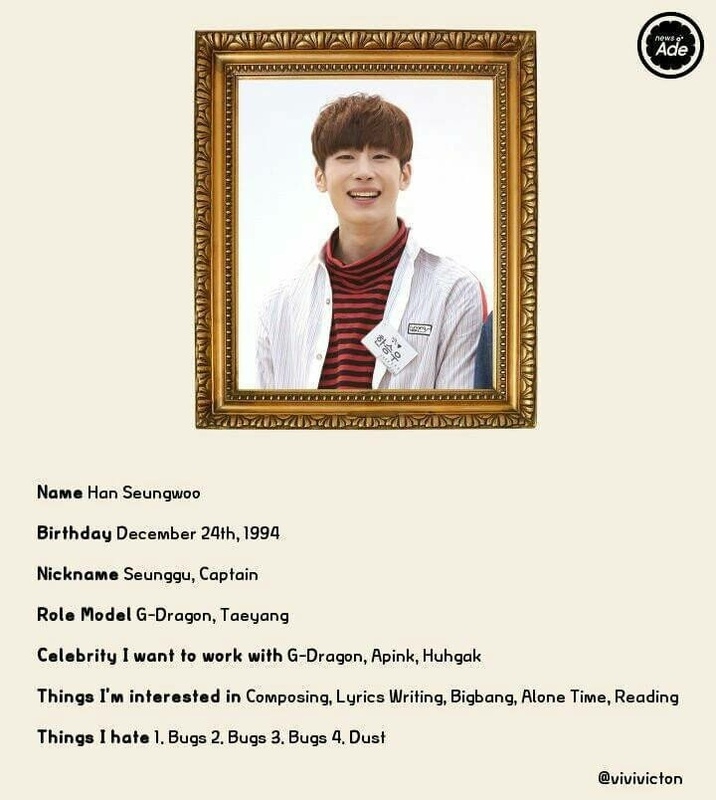 – His role models are G-Dragon and Taeyang. – Seungwoo was proven to be the athletic one in the group. – He was born in Gyeonggi, South Korea. – His nickname is Mom. – The younger members like to tease him. – Celebrity he wants to work with: Crush. 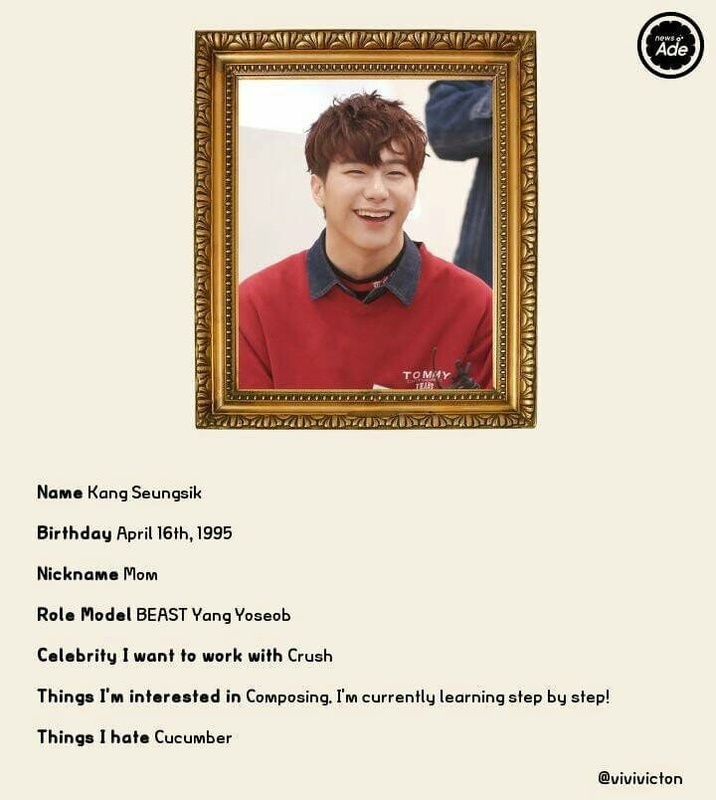 – Things he’s interested in: Composing, he’s currently learning it step by step. 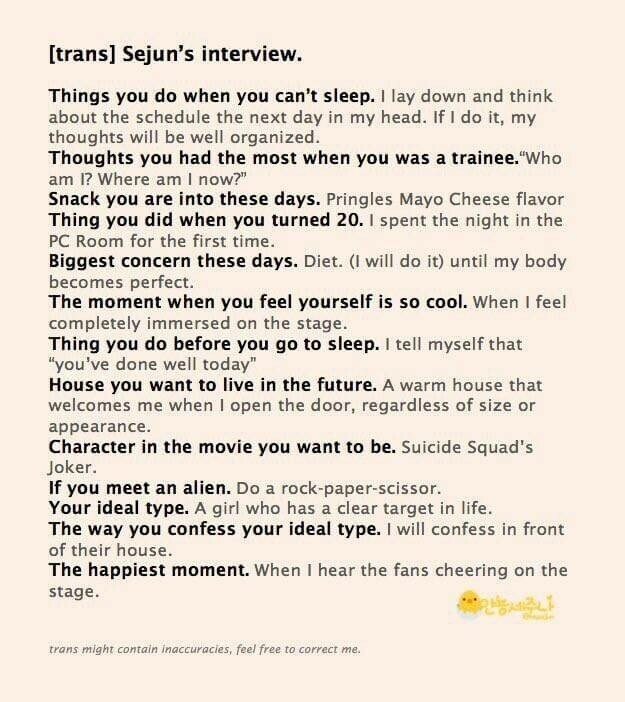 – Seungsik snores a lot. – He has the habit of getting up from sleep unconsciously and start walking, without remembering what happened. 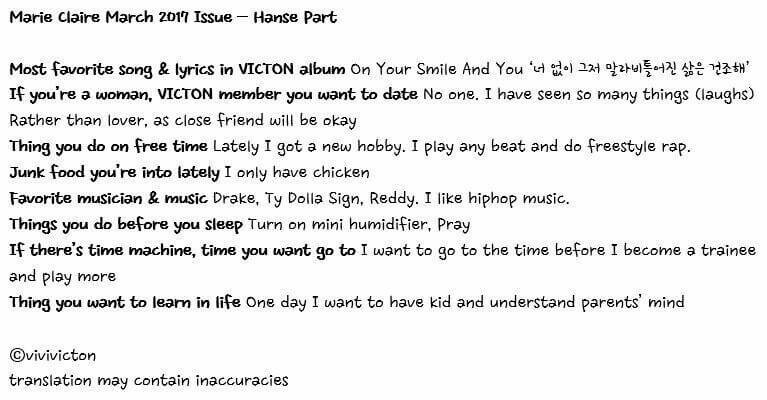 – He does the ”dirty work” and the unwanted tasks at VICTON. – For Seungsik, his most attractive trait is his eye smile. – He doesn’t have a religion. 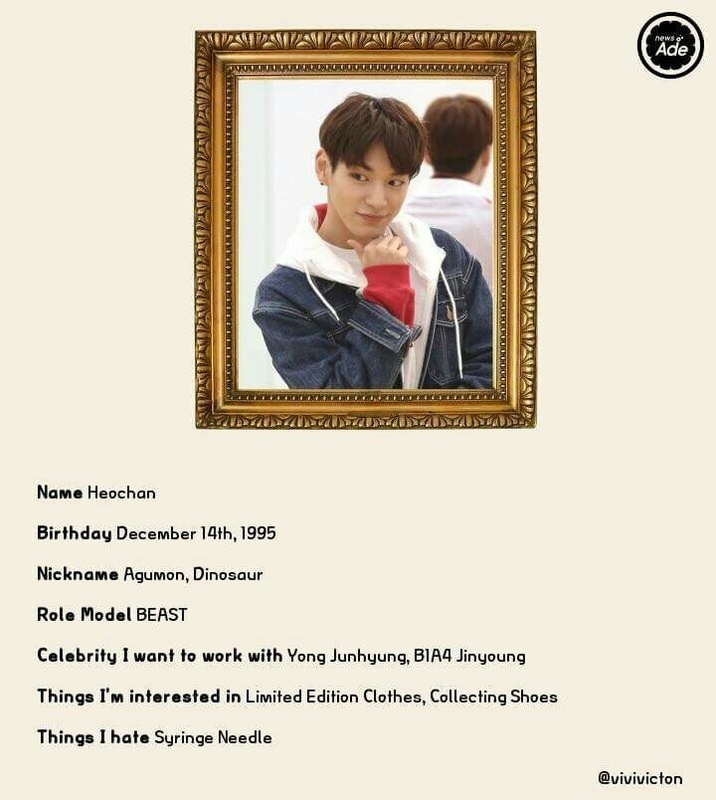 – His role model is B2ST’s Yang Yoseob. – He was born in Seongnam, South Korea. 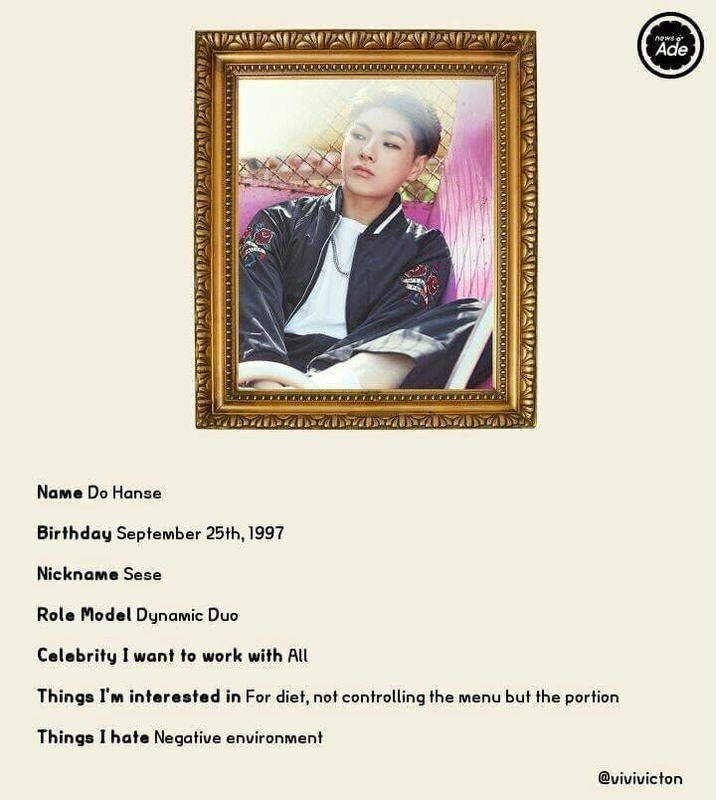 – His older brother is Heo Jun of Madtown. – His nicknames are Agumon and Dinosaur (that is his childhood nickname). 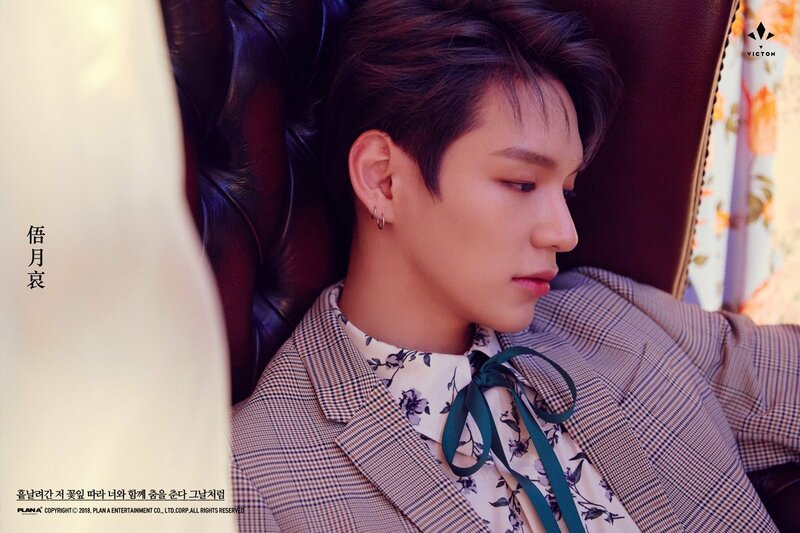 – Apparently, Chan attended Hanlim Multi Art School and was a practical dance major (same year and major as BTOB’s Sungjae, but it’s unknown whether or not they know each other). – He loves hip hop and urban choreography. – He loves to dance and dance is his hobby too. – Chan is excellent at swimming and was part of a junior swimming team at elementary school. – Can dance by moving his body and head separately. 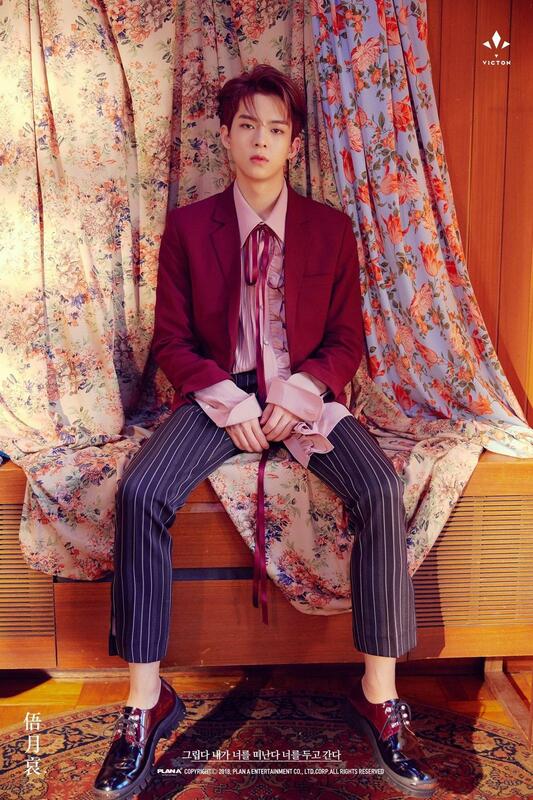 – Celebrities he wants to work with: B2ST’s Yong Junhyung, B1A4’s Jinyoung. – Thinks he’s interested in: limited edition clothes, collecting shoes. – He hates syringe needles. – He sweats a lot, they talked about it on their appearance in Weekly Idol. – Chan says that the corners of his lips are very unique. 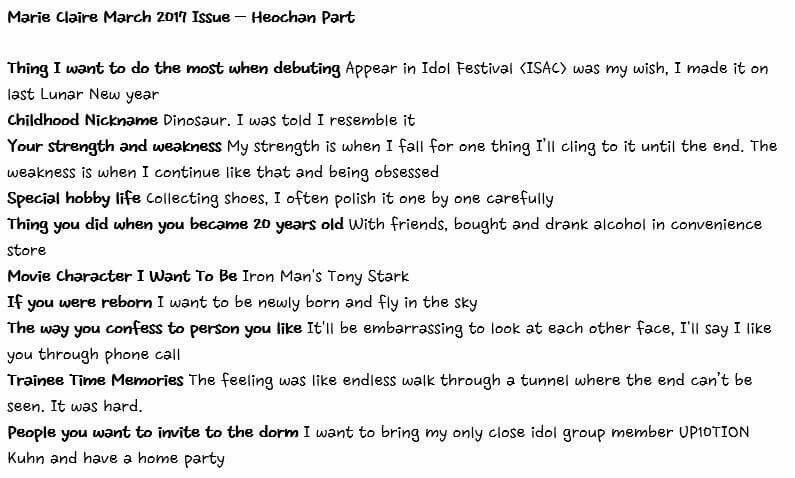 – People he would want to invite to the dorm: his close friend, UP10TION’s Kuhn, and have a home party. – Chan and Wanna One’s Seongwoo are friends. They attended the same school. – His role models are BEAST. 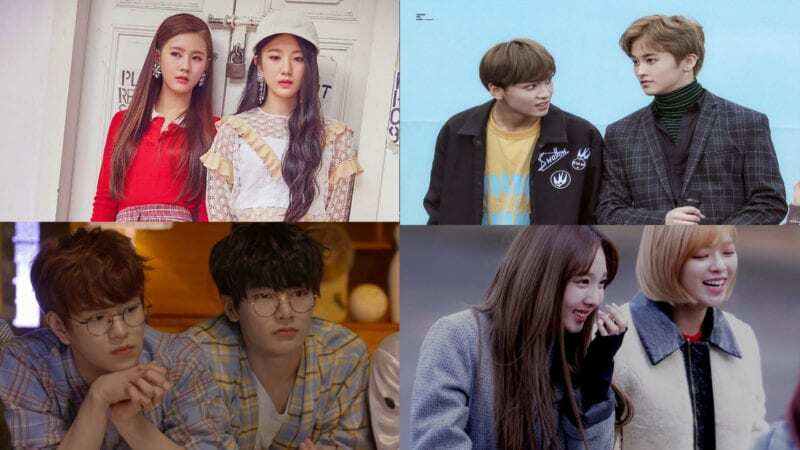 – He was a guest on JTBC’s reality show “Shall We Walk Together”. 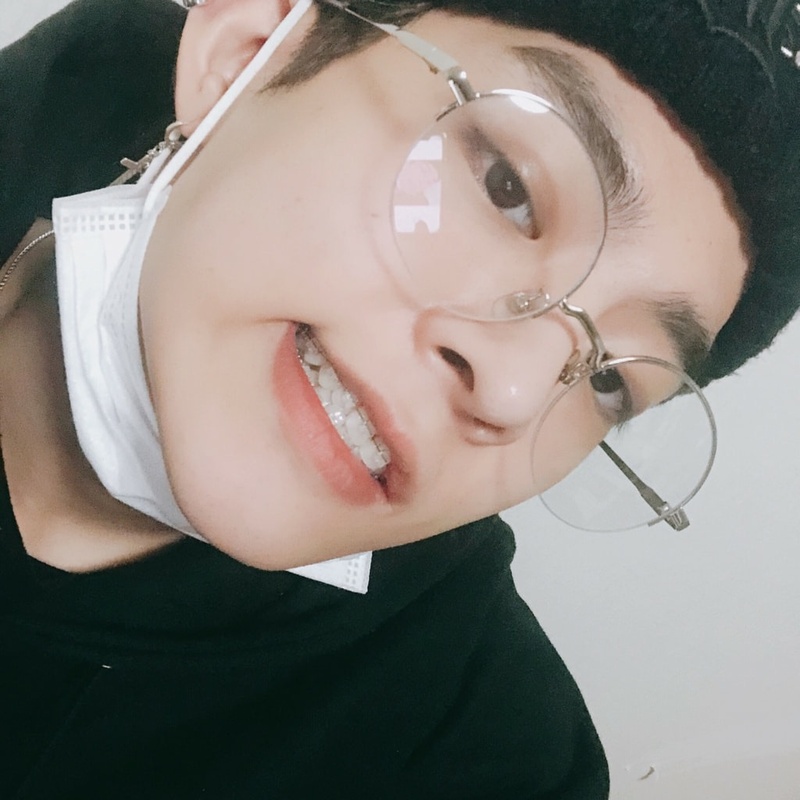 – His nicknames are Sweaty Sejun, Angry Hippo, Honey Boy, Squat King. – He can be mischievous at times. 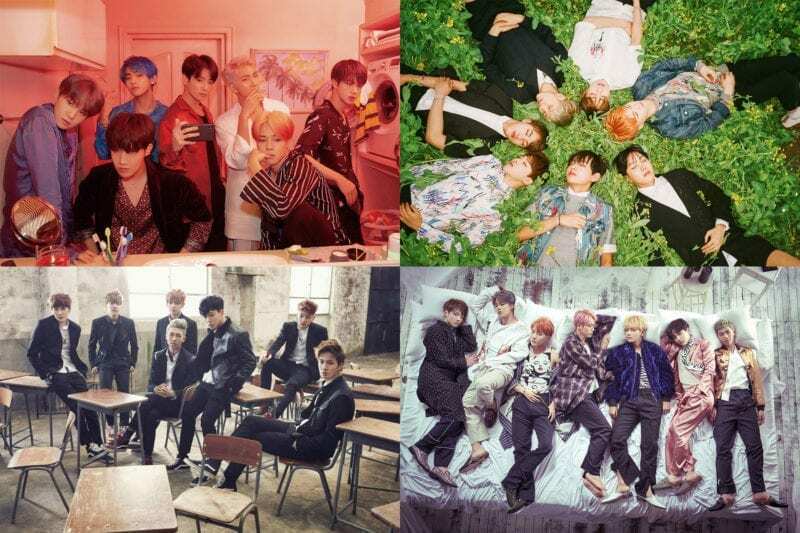 – Celebrity he wants to work with: BTS. – Things he’s currently interested in: health. – He is a master at squatting. 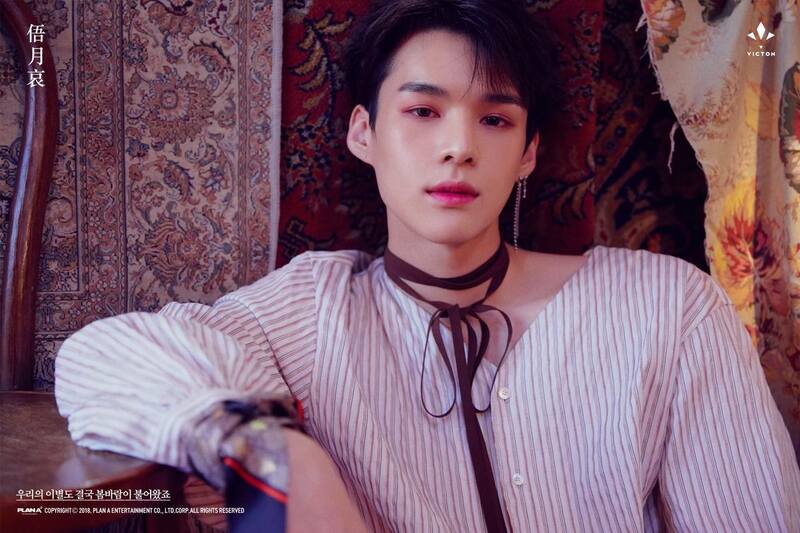 – Sejun likes to play League of Legends and Playerunknown’s Battlegrounds. – He is a Christian. – His favorite colors are black, white & red. – He loves everything related to fashion. – Sejun starred in Huh Gak’s ‘The Last night’ MV. – Sejun starred in Huh Gak’s ‘Only You’ MV. He was a waiter. – His happiest moment is when he hears fans cheering for him while being on the stage. – Sejun, SF9 Rowoon, and Zuho are friends. 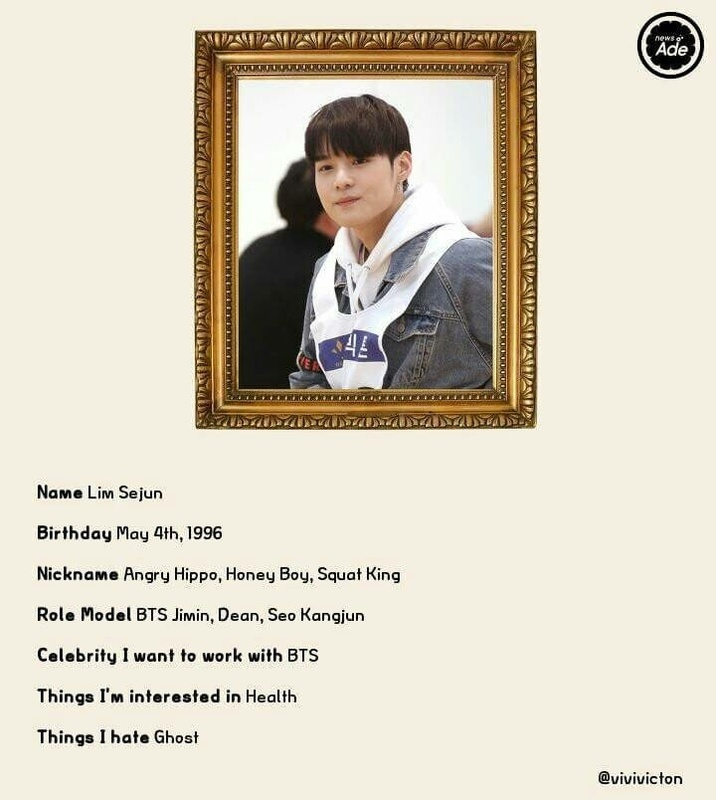 – His role models are BTS’s Jimin, Dean, Seo Kangjun. – His nickname is Sese. – He is scared of cats and water. – Looks cool but is a warm person. – Things he’s interested in: for diet, not controlling the menu, but the portions. – Things he hates: a negative environment. – Members find it hard to hate him even when he’s in a very bad mood. 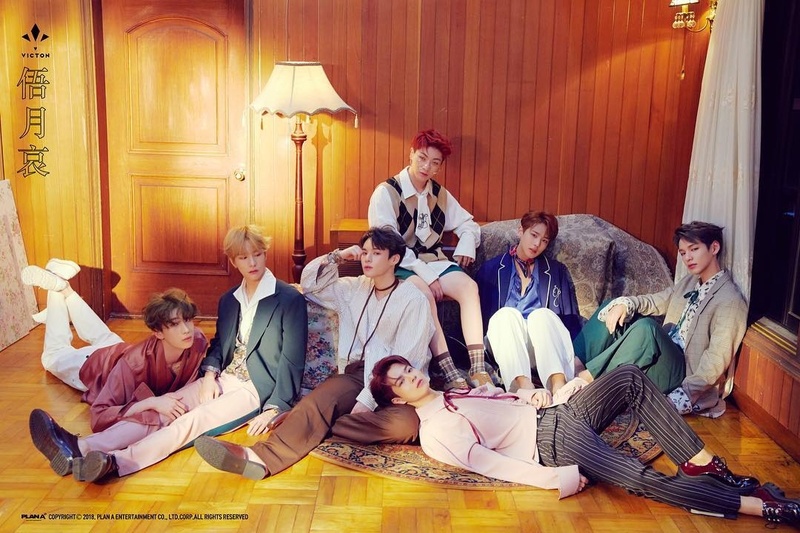 – Older members joke that Hanse has destroyed the order of the group’s hierarchy. – He can get a lot of things with his foot. – He likes to act fluffy with older members. – His room is always messy & he doesn’t clean it. – He can do a heart shape with his lips. – His role models is Dinamyc Duo. 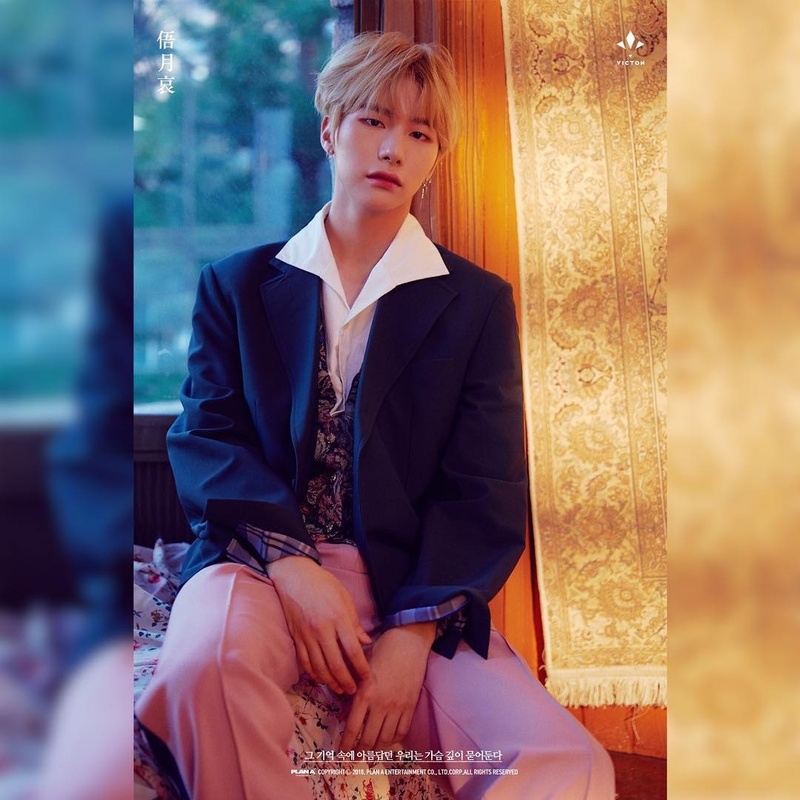 – Hanse has a solo song called ‘Hallelujah’. – He was born in Jeonju, Soth Korea. 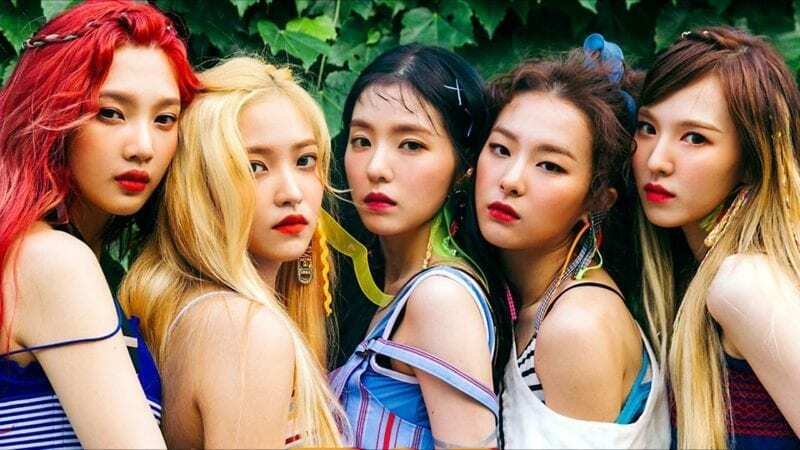 – He is the tallest in the group. 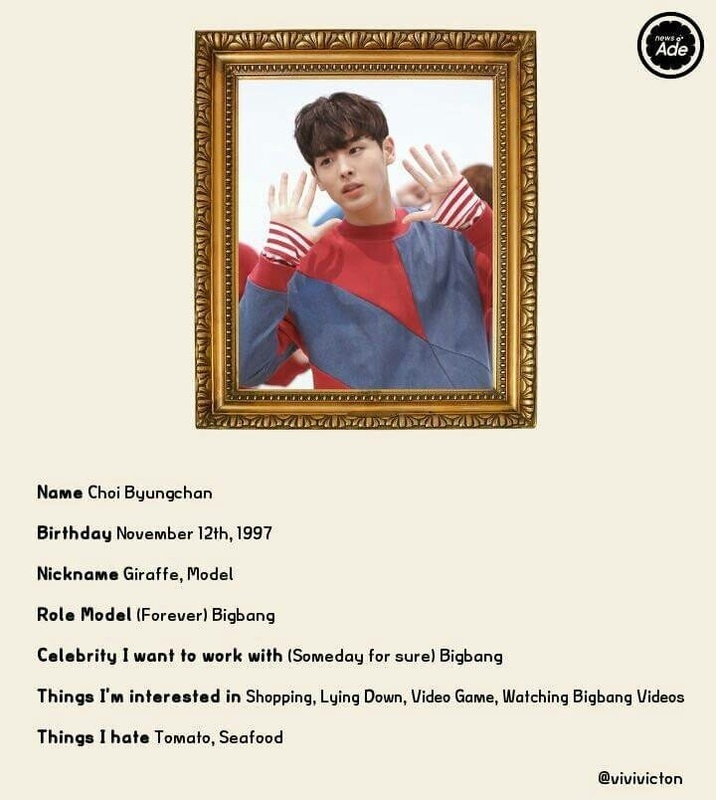 – Things he’s interested in: shopping, video games, watching BigBang videos. – He hates tomatoes and seafood. 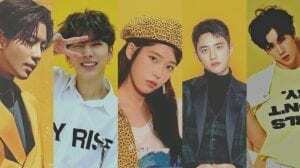 – Byungchan participated in the June issue of Nylon magazine with Naeun of Apink. – He was nicknamed the “Achilles heel” when he was trainee. – Byungchan likes the girl group dances. – Byungchan has a cameo appearance in “Sassy Go Go” (2015). 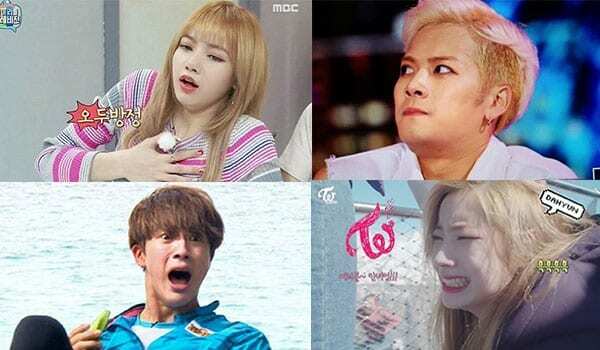 – His role models are BigBang and BTS’s V.
– He has 3 older sisters. 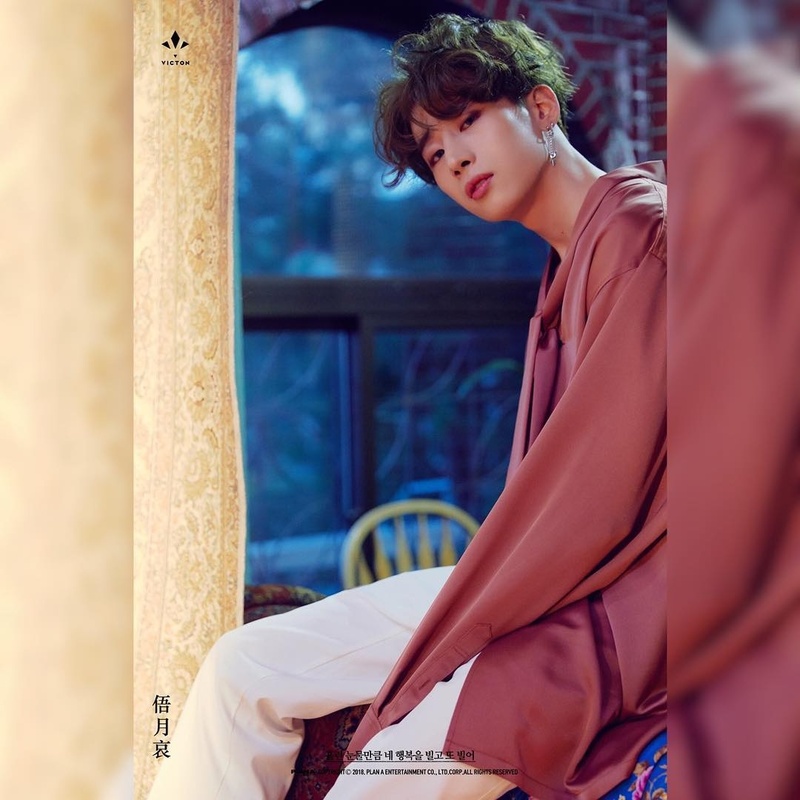 – His nickname is Saiubin. 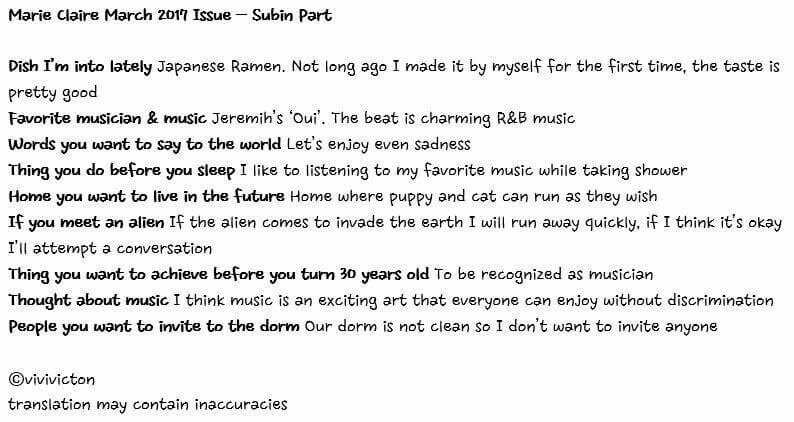 – Subin was a Cube trainee and was supposed to debut with Pentagon but left at the last minute. – Subin currently has a Shih Tzu dog named Toto and a cat named Mimi. – Things he’s interested in: listening to music. – Things he hates: hot, dirty, hectic and noisy things. – He is left handed. 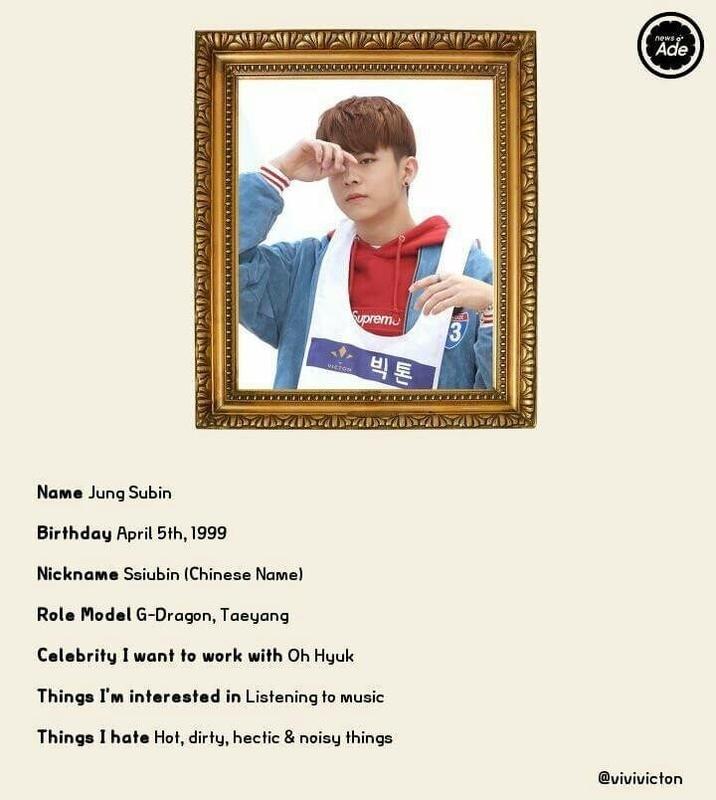 – As well as Sejun, Subin also loves games. – He is great at organizing. 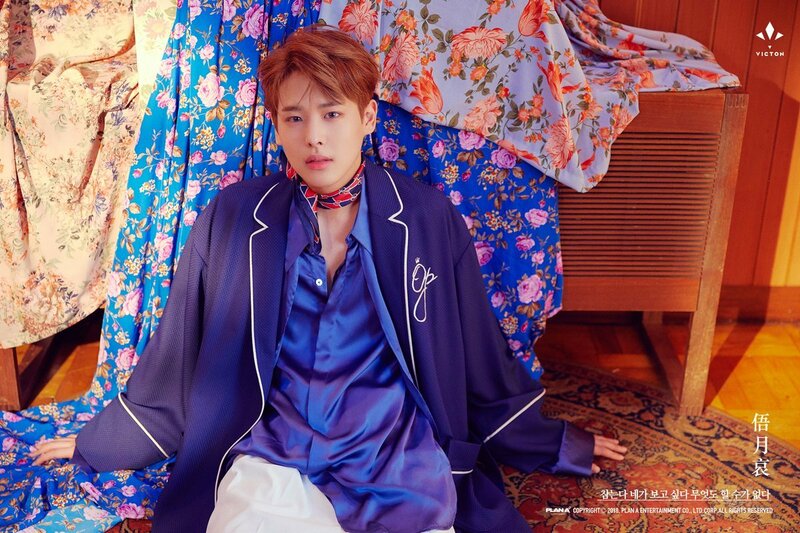 – Subin loves to watch movies and his favorite genre are those of action. – He’s closest to Chan. Who is your VICTON bias? 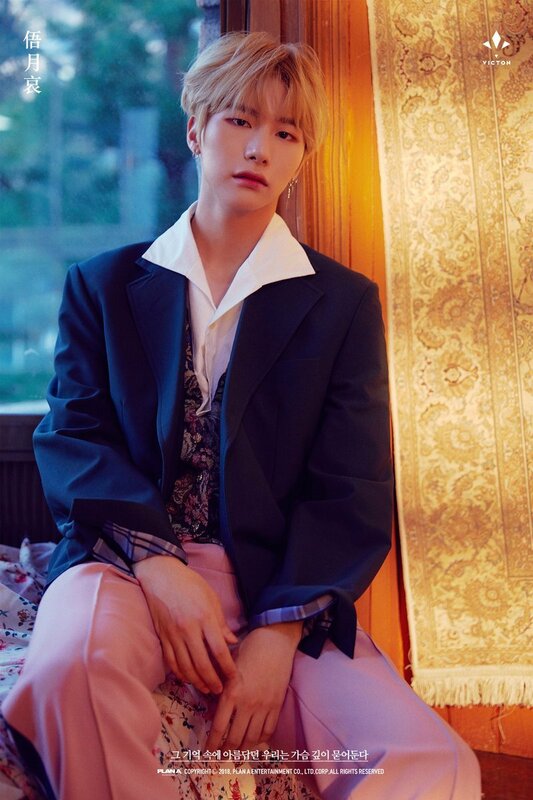 I guess my bias is Seungsik. I’m new to this fandom too. Thanks for providing additional info! 🙂 We gave you credits in the post! Victon have a fandom name now. and it’s called ALICE (Always We Love the VoICe). 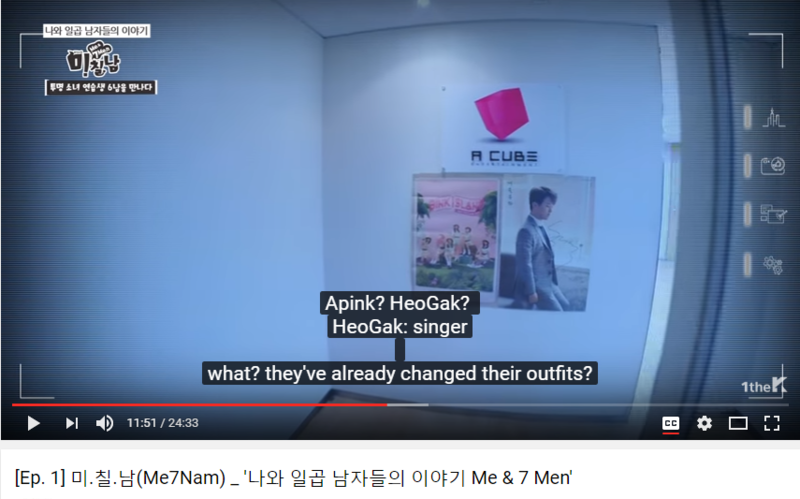 As far as I know Plan A was called A Cube (a unit/part of Cube Entertainment) before they left Cube Ent & became an independent agency.. 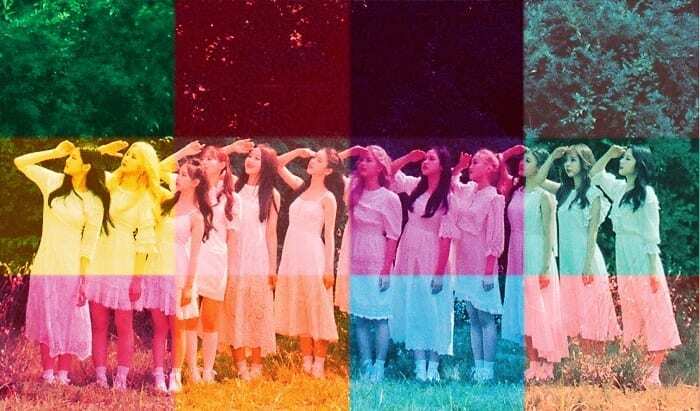 I don’t exactly know when the 2 companies parted ways, but during Apink’s NoNoNo in 2013, the company was still A Cube.. Maybe some/all of them were already trainees since then..
My bias is SeungSik. I love his personality. These zodiacs are actually really accurate. 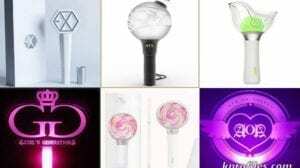 Also can you change the photo to EYEZEYEZ? Can you add a GIRLSGIRLS profile and 14U profile? But recently (As of I believe last week), Seungwoo was proven to be the athletic one. Thanks for the info! In which show are they doing these challenges? 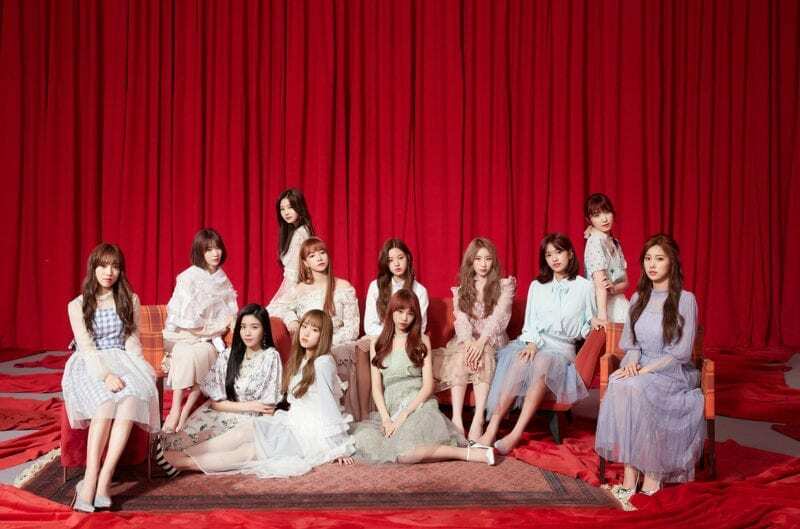 During vLive or other show? 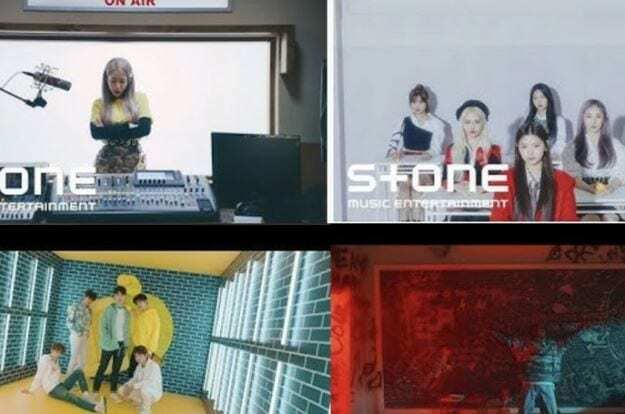 It’s in the VICTON Born Identities show, there’s the episodes videos on YouTube. 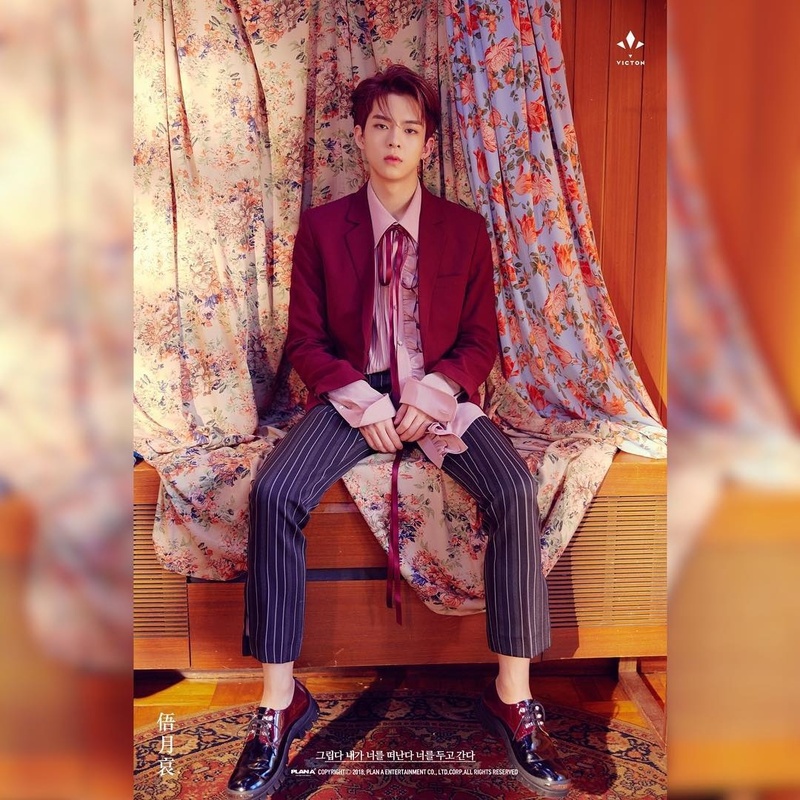 Byungchan is noted to clap whenever he laugh’s, he also knows how to dance to girl group songs, as well as boy groups. 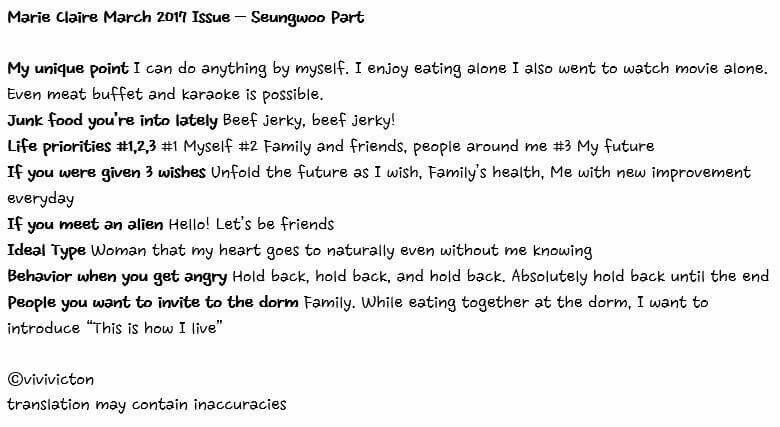 Also, Seungwoo is also noted to be the scariest of the group (Taken from the interview from the ASC show at the ending). You’re welcome. ^-^ I’m glad I can help! Hi i’ve just started liking this group n trying to learn things…so this Twitter account doesn’y show the Verified blue sign, is that not their Official Twt handler? If yes, do they share it with Apink, coz i saw it has Apink posts as well. 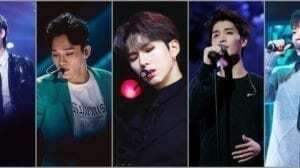 He’s also friends with Ong Seungwoo ^_^ Bcoz I saw them hugging each other like a long lost friend at INK concert in Incheon. I thought byungchan is the face of the group because he was in so many variety shows alone( Hello Counselor etc ). I thought Plan A wanted to promote him more. Please tell us… what browser do you use? Chrome? Firefox? Internet Explorer? Thanks for the reply. We are in the process of trying another solution for the polls system. 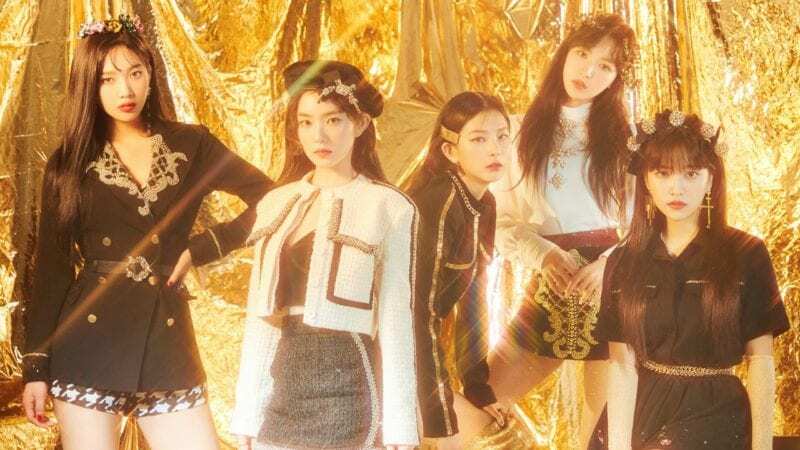 Can you update the video and pictures to their latest comeback? Can you update Victon’s profile to their latest comeback? I’m born in April fifth too! Sejun, SF9 Rowoon and Zuho are friends. Sejun appeared on Huh Gak’s Only You MV with Wanna One Seongwoo. Chan and Wanna One Jisung trained together. Aside from Bigbang, Kim Taehyung (V) of BTS is also Byungchan’s role model. 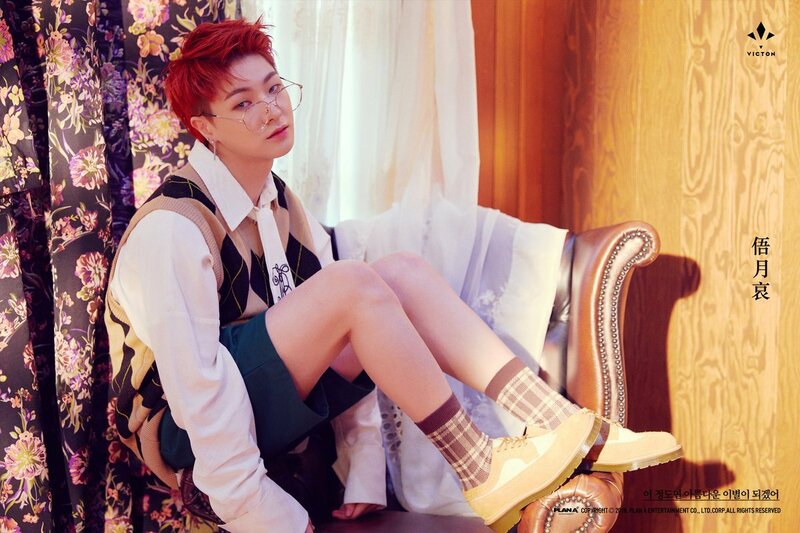 Subin was a cube trainee and was SUPPOSED to debut with Pentagon but left at the last minute,making him join and debut under Plan A Ent. – Sejun also appeared in Huh Gak’s “Only You” MV with Wanna One’s Ong Seongwoo. 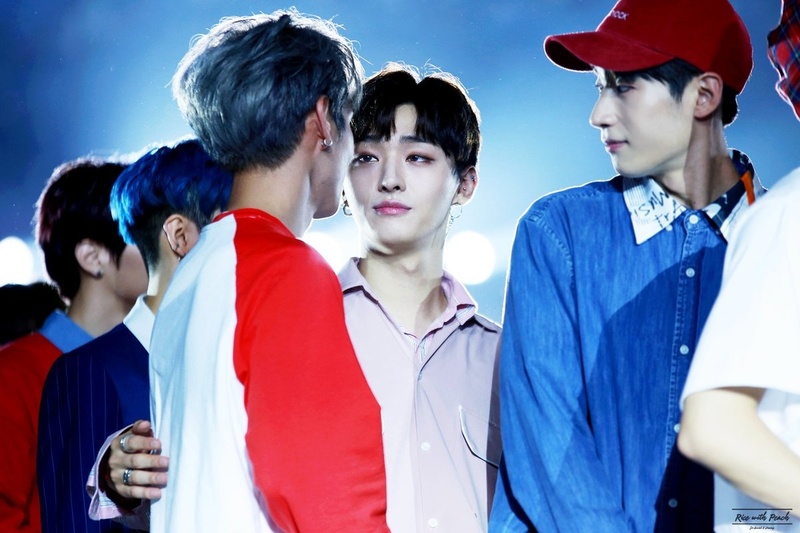 – Chan was in the same class as Seongwoo in high school for 3 years, so they are very close. hi! 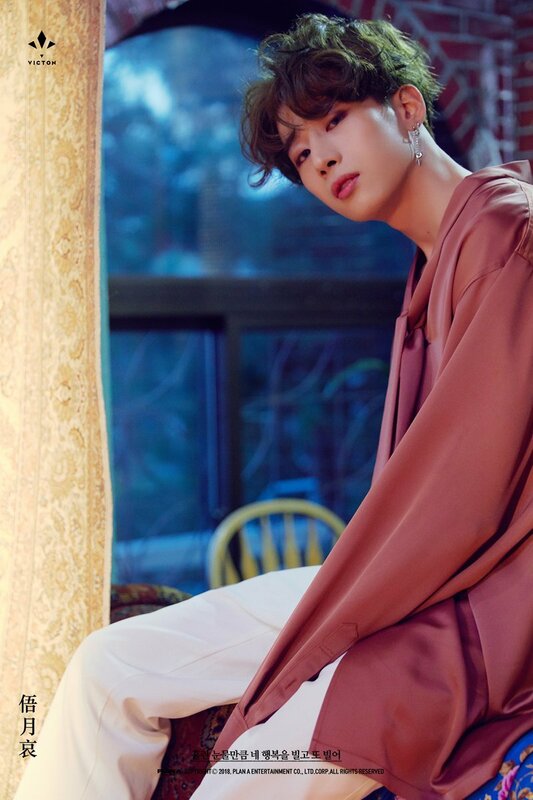 please update the member’s photos to the photos Markiemin uploaded below, and these pictures too for seungsik, seungwoo and sejun! probably not… another suggestion though is that you could put their korean names into google translate (for example) and copy the pronunciation from the voice speaker icon! Byungchan has a cameo in Sassy GoGo. 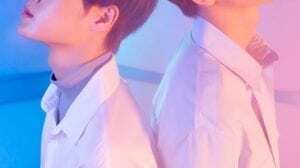 Sejun starred in Huh Gak’s ‘Only You’ MV. He was a waiter. i believe this is ungjae from imfact! Ah, really? I was digging around for information on Seungwoo’s tattoo on twitter and I found the picture from an Alice who took a photo of Chan. But I can’t seem to find the tweet anymore. – Subin currently has a dog named Toto and a cat named Mimi. Another dog that he mentioned before, jjingjjing died of old age. 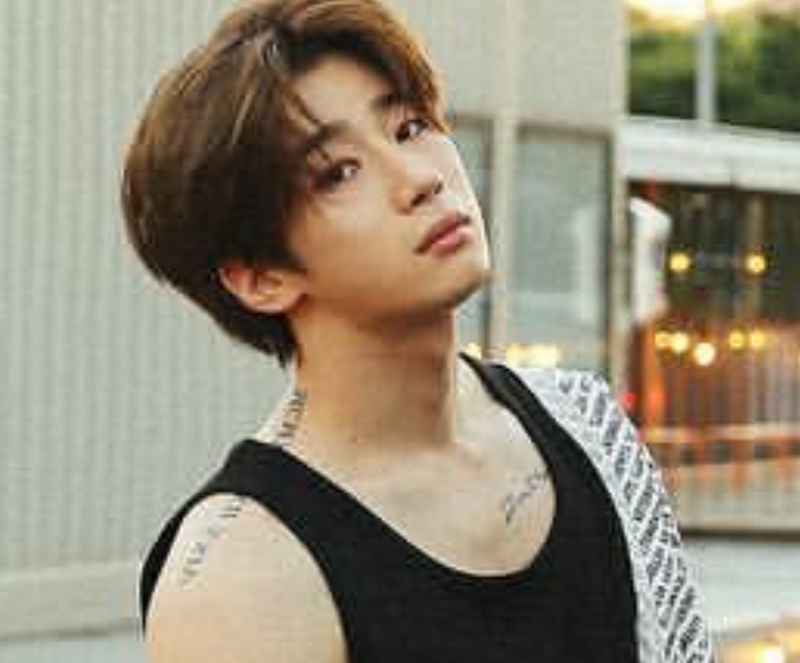 Hi, I just wanted to correct that Seungwoo’s tattoo on his collarbone actually reads “don’t lock me up” which he did as a self reminder to not lock himself away as he tends to do when he is struggling and be more open with others! I’ve seen it too, but it looked more like ‘don’t rock me up’, so I got confused. And I like to tell you all about their real height hahaha. 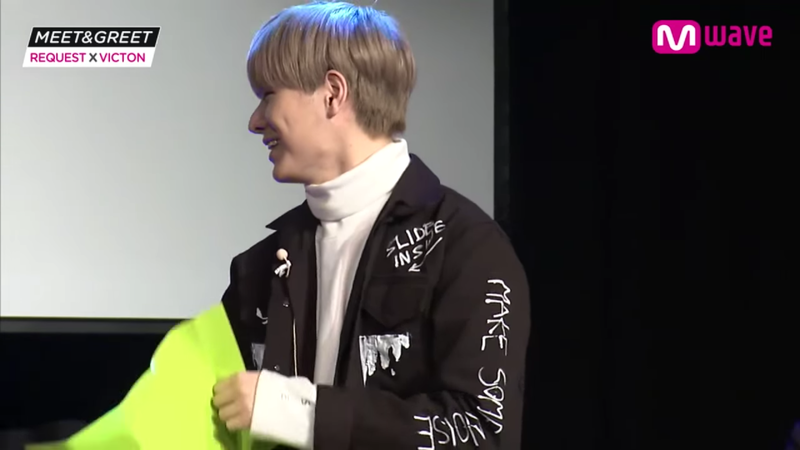 Most of them are correct in this web, but Hanse and Chan are quite shorter (ops…) Hanse is as tall as me, and I am 170 cm (both of us wearing shoes, of course hahaha) and Heo Chan is around 173 cm maybe 174 cm tall. – Your lips can form a heart. 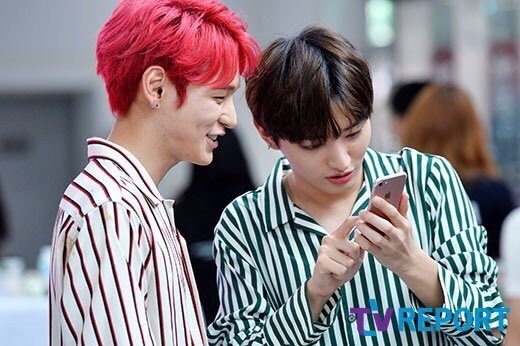 Seungwoo and Byungchan both ranked A in the beginning of Produce X 101, which made it possible for them to be voted as this season’s first center for “Pick Me”. The results aren’t out yet, but I thought I should comment. 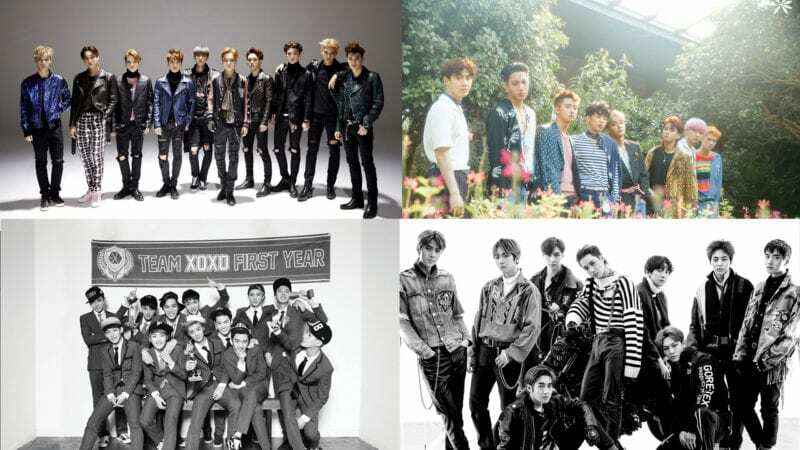 Their company name is now Play M Entertainment, as they merged with Fave Entertainment. Plan A ent is now known as “PLAY M” entertainment.